LAHORE: Pakistan Muslim League-Quaid (PML-Q) Senator Mushahid Hussain Sayed joined the PML-Nawaz on Sunday. Upon the invitation of former prime minister and PML-N President Nawaz Sharif, Mushahid held a meeting with him at his Jati Umra residence today, after which the decision was finalised. Talking to Geo News, Mushahid said he has accepted Nawaz’s invitation to join the party, adding that there has been no discussion on the Senate ticket. He said that national stability and integrity are linked to the supremacy of democracy. “In the struggle for supremacy of the constitution and law, I will be at the forefront for the PML-N,” said Hussain. For the sanctity of vote and supremacy of democracy will stand beside Nawaz, further said the senator. Mushahid Hussain said that Nawaz Sharif made historical gains when it came to Pakistan’s stability, defence and progress. In the meeting today, Nawaz's daughter Maryam, Senator Pervaiz Rasheed and Federal Railways Minister Saad Rafique were also present. Later in the day, Khawaja Saad Rafique sent out a tweet, confirming Mushahid’s return to the PML-N. Earlier reports had been circulating about Mushahid's return to the PML-N, the party he left in favour of General Pervez Musharraf when the latter ousted Nawaz in the 1999 military coup. Mushahid's term in the Upper House of Parliament is expiring on March 11 and he was set to retire owing to the minimal presence of PML-Q in the provincial and national assemblies. Owing to reports of his jumping ship, the PML-Q had removed him from his party position late last year. However, Mushahid told Geo News he had resigned from PML-Q prior to today's meeting and thanked the PML-Q chief Chaudhry Shujat Hussain. Sources said Mushahid will now be elected to the Senate from the Punjab Assembly, where the PML-N enjoys a substantial majority, although at present he was elected from Islamabad's technocrat seat. 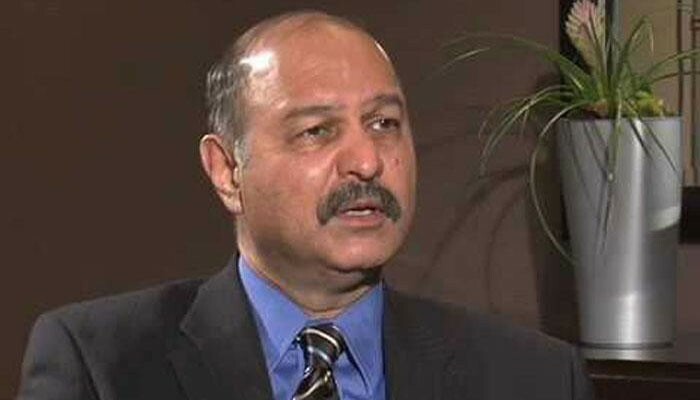 Mushahid, who heads the Senate Standing Committee on Defence, is considered an expert in the fields of defence and foreign affairs, as well as a strong advocate on Pak-China relations. A former journalist, he served in Nawaz's cabinet as the information minister in the 1997-99 government. Following Musharraf's takeover, he was put in jail for over a year and later ditched Nawaz to join PML-Q.